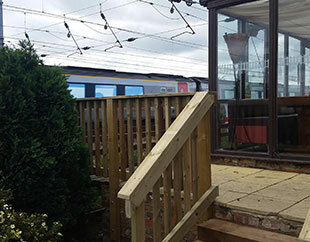 The Sidings near Shipton by Benningbrough is a railway train themed Mediterranean Restaurant and Bar. 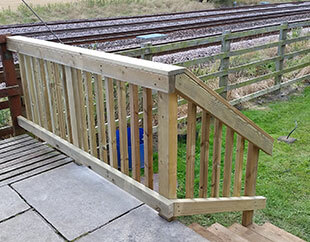 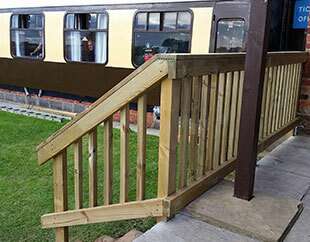 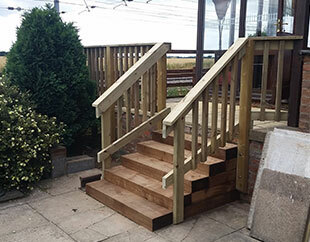 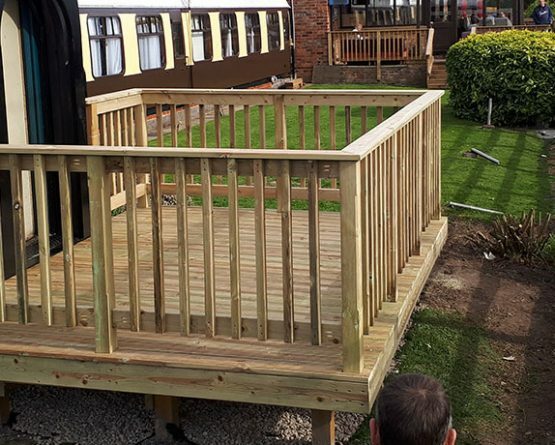 The balcony area which allows close views of the railway needed replacing along with new steps linking the outside areas. 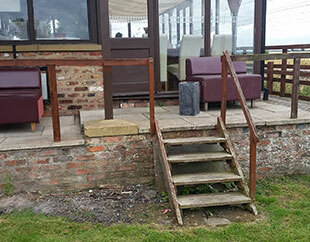 The fencing had to be built for safety and be in keeping with the rest of the restaurants charm. 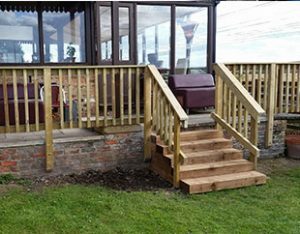 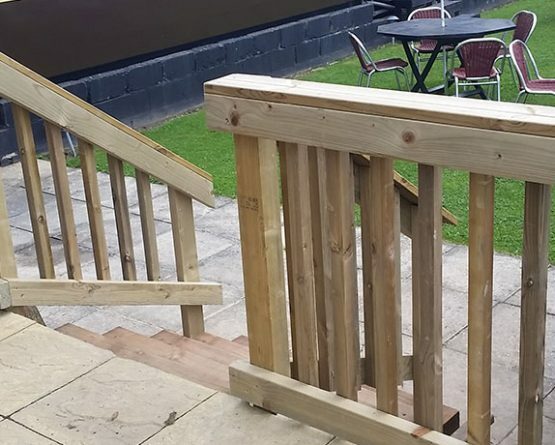 Fencing was erected using thick smooth tanalised timbers with vertical spindles so as to reduce the risk of children climbing. 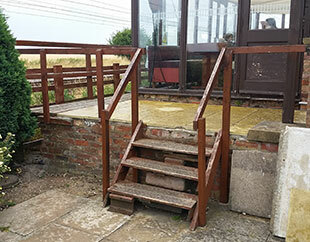 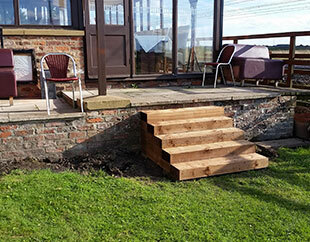 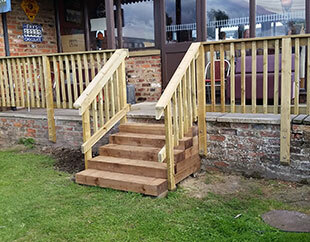 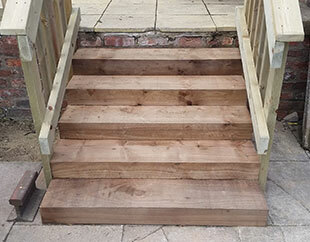 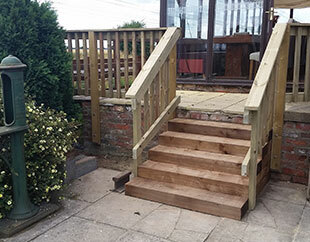 A large top handle was placed to allow this to be used as a surface to place drinks and the steps made entirely from Railway Sleepers really linked the whole project to the railway theme it sells itself upon. Images of this fencing project are seen to the right. 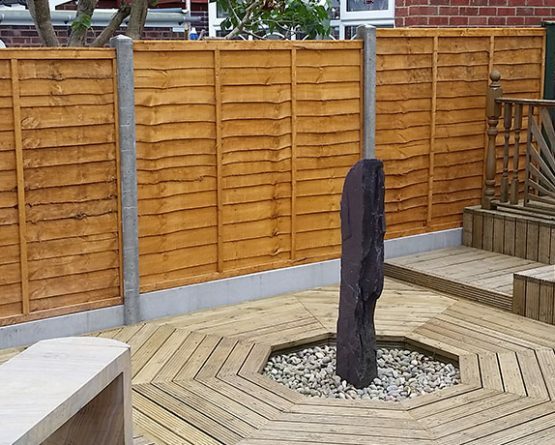 If yo would like to obtain a no obligation quote for fencing, please call 07878 256771 or use the contact form.